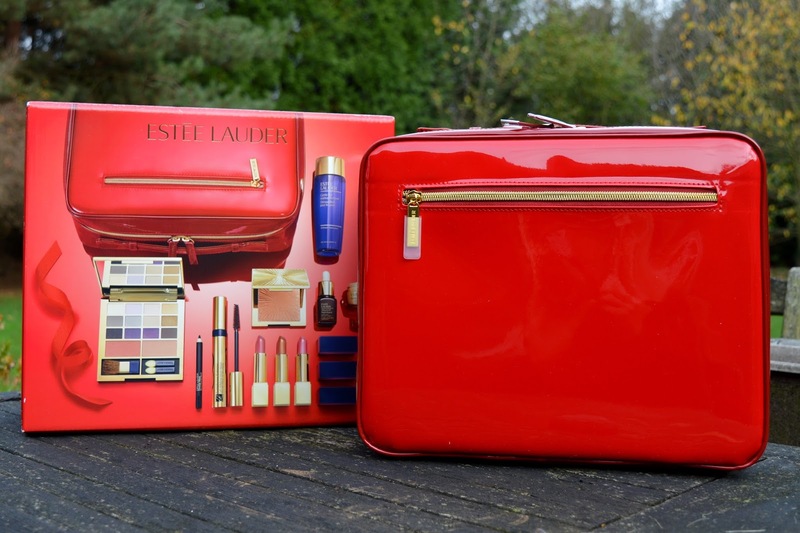 Every year, Estée Lauder launches a box which is perfect as a christmas gift. This is the box that was launched for 2015. And my first impression is: Wauw! In this post I will be showing you everything that is in this box in detail. When you open the box, the first thing you see is the lovely travel case. It is red and looks luxurious and stylish. I will use this as a beautycase when I'm travelling. 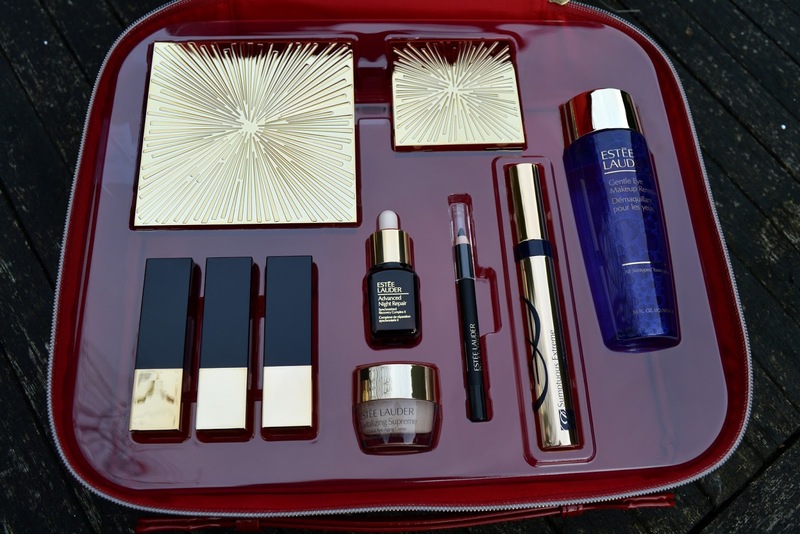 When you open the travel case, you discover all kinds of products that are useable for everyone. The first things that caught my eye, are the 'Deluxe Pure Color Eye and Cheek Palette' and the 'Limited Edition All Over Shimmer' palette. The Deluxe Pure Color Eye and Cheek Palette has 12 colors of eyeshadows in it. 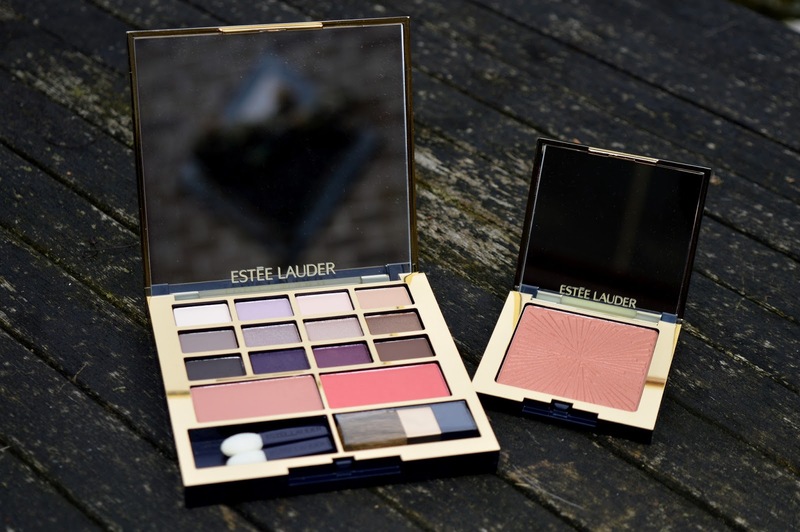 The eyeshadows are from the Pure Color Envy line in Estée Lauders collection. As you can see there are colors with the same name but another number mentioned in this list, these colors are a selection from the palettes that Estée Lauder allready launched before. This palette also comes with 2 blushes. These are from the Pure Color collection. In this palette you can also find 2 applicators. They are normal (cheap) applicators, nothing compared to the makeup brushes we normally use to apply our eyeshadow. Bu these applicators come in handy when you are on a holiday and you don't want to take all your brushes with you. Second item that caught my eye immediately was the Limited Edition All Over Shimmer palette. This is a highlighter that can be used all over the face and body. 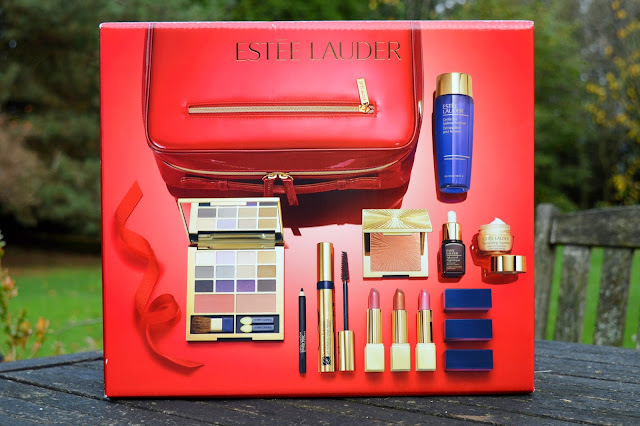 As a lipstick addict, I love the colors that Estée Lauder chose to put in this giftbox. These lipsticks are long lasting lipsticks from the Pure Color collection. 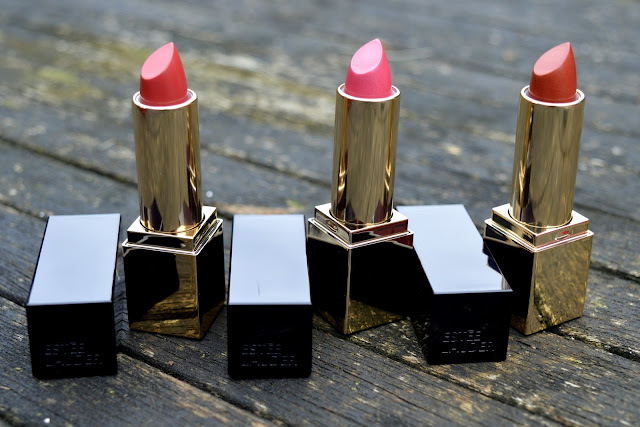 Bois de Rose is a Long Lasting cream lipstick. Candy and Hot Copper are Long lasting shimmer lipsticks. 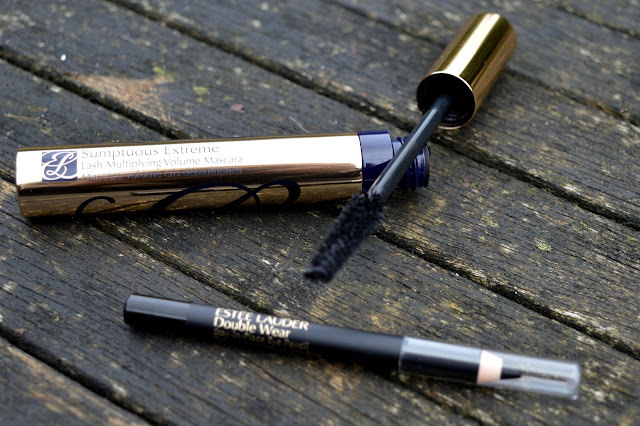 To make every look complete you need mascara and a good eyepencil. That's why Estée Lauder chose the Scumptuous Extreme - Lash Multiplying Volume Mascara and the Double Wear Stay-in-Place eyepencil to complete this giftbox. Both of these items come in black. This is how the mascara brush looks like when you take a closer look. 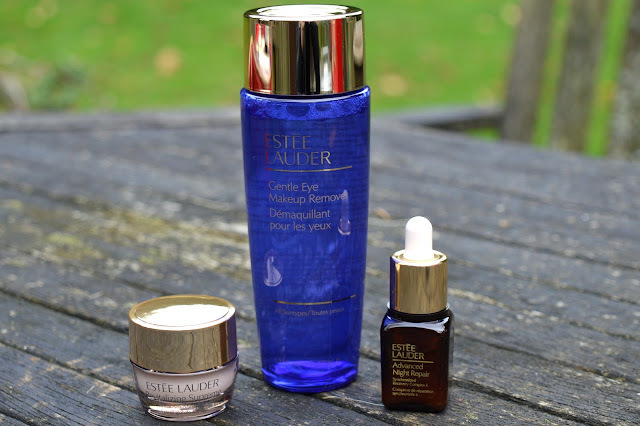 And of course, you need some skincare before and after applying makeup. That's why we can also find a 100 ml Gentle Eye Makeup Remover in this box. 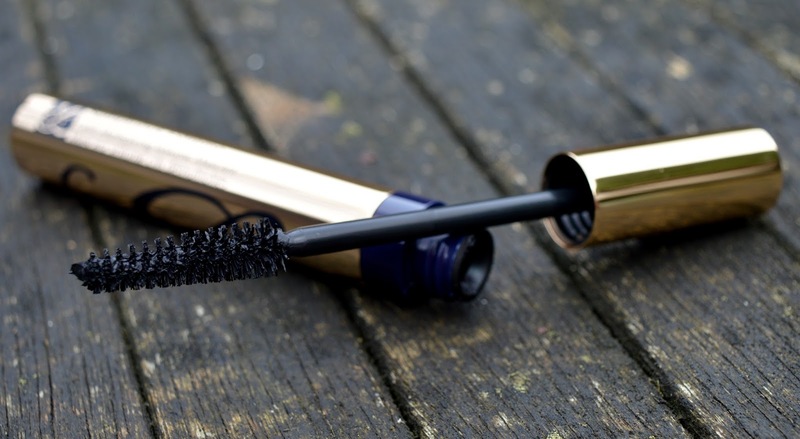 This makeup remover is very gentle for you eyes and don't cause any irritations. There is also a small Advanced Night Repair (7 ml) in this box. This product is amazing after a long working day to repair your skin during the night. And last but not least, the Revitalizing Supreme global anti-aging creme (7 ml). You are never to young to start preventing the aging so that's why Estée Lauder has put this product in the box too. Everyone, no matter your age, can use this cream. This gift box is for sale in all Ici Paris XL stores for only 79,90€. I consider this as very cheap when you look at all the products you get for this price. This is a great gift to giva and receive. This box is also perfect for anyone who is starting to use makeup, you have a lot of good products for a small price. My favourite product in this box is the Limited Edition All Over Shimmer palette. I am addicted to highlighters, nice packaging and limited editions. This palette combines all three of my addictions :D.
What is you favourite product in this box? Leuke producten, ik had hem ook zien staan, zo goedkoop! Supermooie doos, voor de inhoud vind ik de prijs ongelooflijk meevallen! Denk dat die highlighter ook mijn favoriet zou zijn.